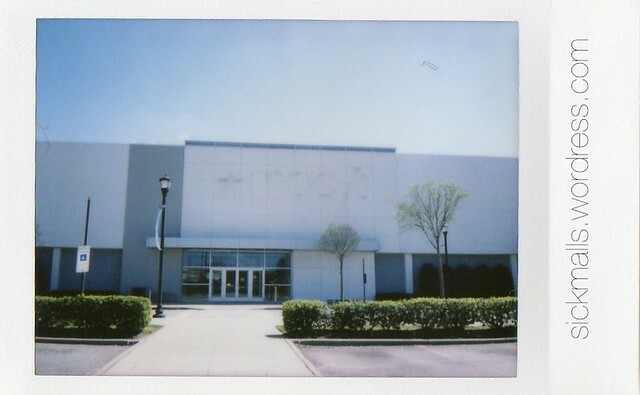 “coliseum mall” | That Mall is sick and that Store is dead! Image from The Daily Press, September, 1977. 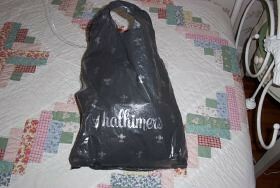 Thalhimers 1-day Christmas sale Commercial 1986 — I like that they showed Snowbear at the end, not once, not twice, but three times. Commercials 1986: Part 13 – 2 commercials in this break. The air in Newmarket North mall at 8:30 a.m. is filled with the rich smell of doughnuts from one of the few stores open for business, interspersed with the sound of yapping pet store dogs and shouts from construction workers. Long before the day’s shoppers arrive and the last of the morning mall walkers depart, work crews clean up from a night spent filling in floors, tearing away ceiling tiles and installing new plumbing in preparation of the mall’s transfiguration into Newmarket Fair this fall. 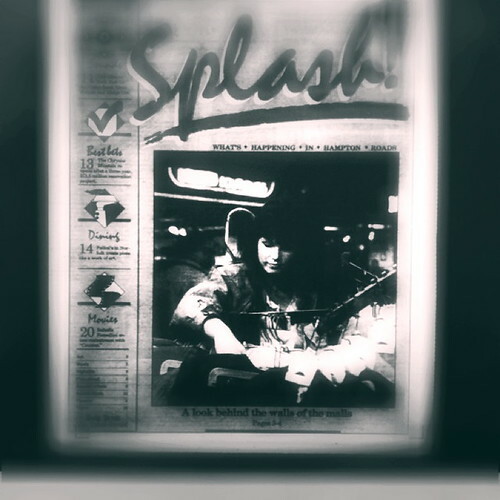 FOR THE RECORD – Published correction ran Wednesday, May 23, 1990. A story incorrectly stated that ceiling tiles removed during the renovation of Newmarket North mall were being “burned off as steam.” The tiles are to be burned at a steam-generating plant which uses trash for fuel. Published correction ran Tuesday, May 22, 1990. An article said a three-horse carousel is being built near Newmarket North mall’s food court. The carousel will have three rings of horses, not three horses, said Gina Chastain, mall marketing director. While the renovation work at Newmarket North continues, nearby Coliseum Mall, which completed a renovation project of its own in October, is looking to expand its influence in Hampton Roads in the next five years. Raymond Tripp, who took over as Coliseum’s manager several weeks ago, said one of the property’s biggest goals is to attract a middle- to upper-end department store to serve as its fifth anchor tenant. The store likely will be in place by 1991 or 1992, he said. Rob Belue, Newmarket North mall manager, said property owner Goodman Segar Hogan has set Nov. 4 as the date for the mall’s grand re-opening celebration. The $9-million renovation project includes the addition of 13,000 square feet of skylighting and an 11-tenant food court. Newmarket’s renovation was announced when Goodman Segar acquired the 800,000-square-foot mall in July for $34 million. Company officials said then that Newmarket had slipped in competition with Coliseum and Patrick Henry Mall in Newport News. Belue said sales during the construction have dropped less than 1 percent from the same time last year, which he attributed to customer curiosity and customer loyalty. 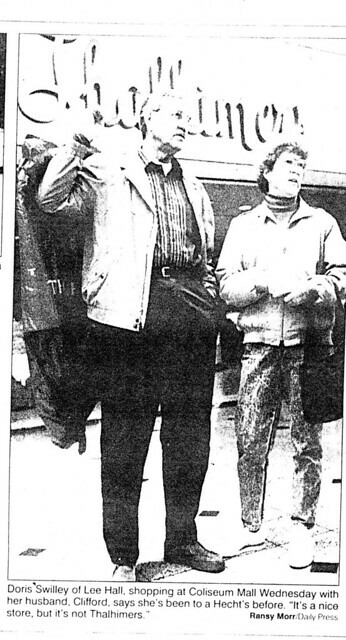 Newmarket’s 1989 sales per square foot were approximately $190, he said. Store managers contacted expressed mixed feelings about the mall’s performance during the renovation. Goodman Segar is still trying to find a replacement for former anchor Miller & Rhoads, which closed its store in the mall in January. Whatever store replaces Miller & Rhoads likely won’t be open before 1991, Belue said. Since the renovation began in January, the staircases at each end of the mall have been removed to make way for escalators and, at the end near Sears, a children’s recreation area and customer service booth. Workers are leveling the mall’s first floor, which had several pit rest areas. To make way for the skylighting, Belue said, work crews have disposed of an estimated 400 cubic yards of ceiling tiles, which have been taken to a recycling plant to be burned off as steam. Work crews also will remove the fake brick covering the 18-inch steel support beams, redesigning them as columns. The food court, which will be called “Eats,” also be the site of a recreation-electronic games room, Belue said. A three-horse carousel will be added near the food court, on the second floor near the former Miller & Rhoads store. Belue said the trend among developers now is to remodel existing structures instead of building new shopping centers. “All the land that would be good for shopping centers is gone,” he said. At Coliseum, in addition to finding a fifth anchor, “we’re obviously looking very hard for a good children’s store to go into the mall, and we’d like more women’s apparel,” Tripp said. One women’s apparel store, Gantos, opened in Coliseum this week, and another store, Limited Express, is scheduled to open in a few weeks. Following the completion of Coliseum’s renovation in October, some of the merchants who were relocated experienced a 2 percent to 3 percent drop in sales, Tripp said. “Their traditional customers didn’t realize where they were,” he said. 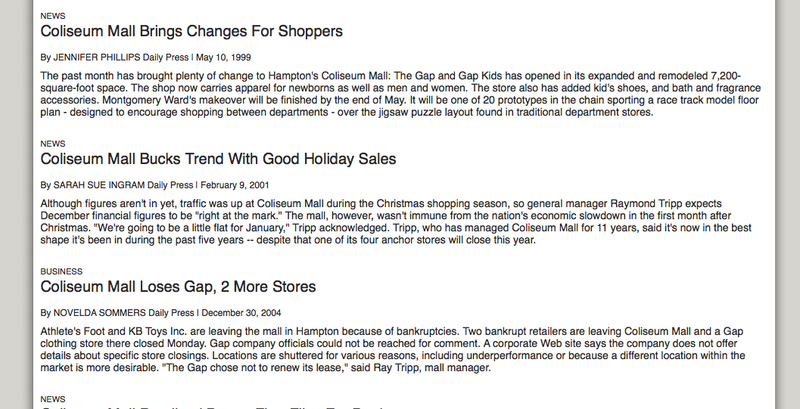 Tripp said he was encouraged by first-quarter sales figures, which show mall sales up 7.2 percent from the same period in 1989. Coliseum’s sales per square foot are “decent, but they stand to be improved,” he said; he declined to say what they were. 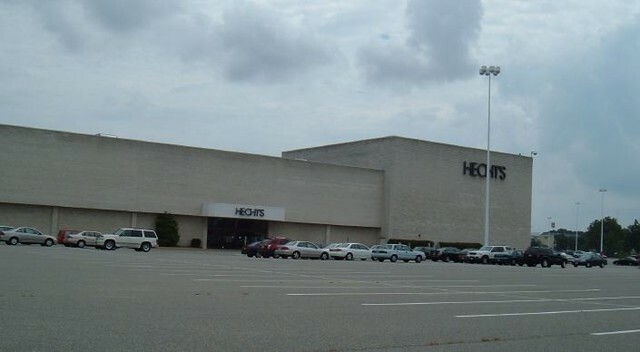 The mall will continue to battle with Patrick Henry Mall in Newport News to attract shoppers from the Denbigh and York County areas, Tripp said. “I think we’re sharing the market right now,” he said.